Cambodia’s national bird is the Giant Ibis (Thaumatibis gigantea), which is named for it’s large size, but yet is extremely rare to sight. This Ibis species is a critically endangered water bird that has experienced a rapid population decline over the past three generations. Unfortunately, this decline is anticipated to continue unless significant and successful conservation efforts are employed. It is estimated that there are only approximately 200 mature individual Giant Ibis, or about 300 adult and young individuals remaining. Ibises are now found primarily in Cambodia, Vietnam, and Laos. Although their historical range also included Thailand, where now are believed to be locally extinct. The survival of Giant Ibis is seriously threatened by habitat destruction, hunting, and human disturbance. Deforestation and the draining of wetlands for agricultural expansion reduce the extent of wetlands available for these waterbirds live and breed. Illegal hunting and egg collecting also present a threat to these rare birds’ survival and breeding. Giant Ibis often inhabit and roam in wetland areas several kilometres away from villages because they are sensitive to the presence of people. However, as rural communities and private land developments expand, these waterbirds have less suitable habitat available. 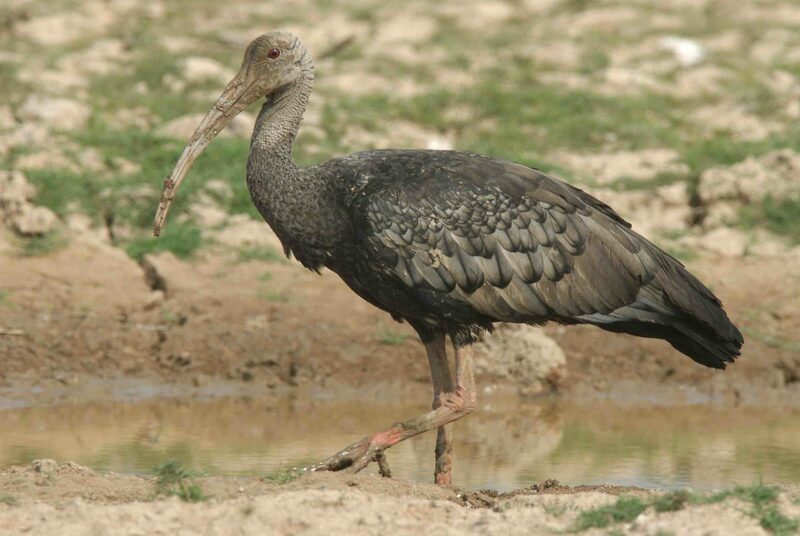 PRCF Cambodia works with local villages to facilitate and support community-led conservation work for the Giant Ibis. Our initiatives have included habitat research, conservation planning, nest protection, and environmental awareness campaigns. One recent awareness campaign involved local school children creating posters to promote protection of the Giant Ibis and the White-shouldered Ibis, another critically endangered species in the landscape. Learn more about our Giant and White-shouldered Ibis Community Program.